Sunday Million 13th Anniversary is coming soon! 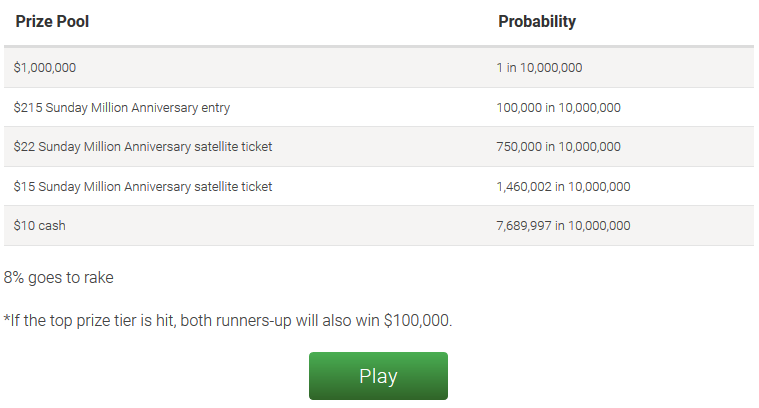 Get ready and win your seat through satellites on PokerStars! The Sunday Million turns 13 years old in April. Celebrate another milestone in the history of online poker’s most iconic weekly tournament. The gtd prize pool for this event will be $10M! Find Sunday Million 13th Anniversary Edition satellites running now from $0.90. Play your way to the main event and turn cents into over a million dollars! From March 25, there are daily $15 satellites with 100 seats GTD! If you still don’t have an account at PokerStars, register with us and grab 100% up to $600 Welcome Bonus! $1M Spin & Go tourneys with a $5 buy-in are still on. But that is not all! PokerStars introduced a $3 Million Spin & Go promotion! $3 Million Spin & GO: You can now win an incredible $3 Million Dollars in seconds! 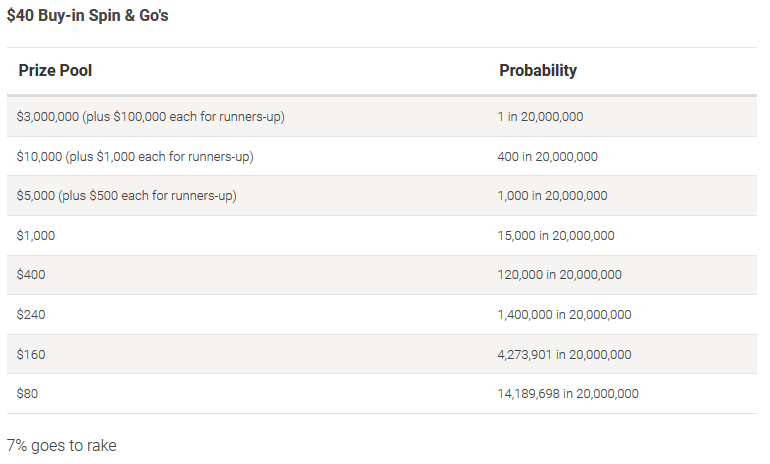 The majority of $3 Million Spin & Go tournaments are played as ‘winner-takes-all’, except for when your Spin & Go hits one of the three highest prize tiers. In these tournaments, the second and third-place finishers also receive a prize. Remember, these tournaments run during the promotional period only! If you still don’t have an account at PokerStars, register with us, there is a Welcome Bonus waiting for you!